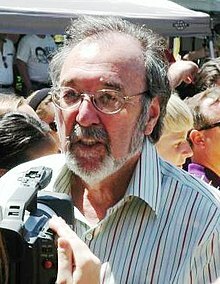 James L. Brooks (born May 9, 1940) is a three-time Academy Award, nineteen-time Emmy and Golden Globe-winning American producer, writer, and movie director. He is best known for creating American television programs such as The Mary Tyler Moore Show, The Simpsons, Rhoda and Taxi. His best-known movie is Terms of Endearment, for which he received three Academy Awards in 1984. This page was last changed on 31 August 2017, at 04:23.